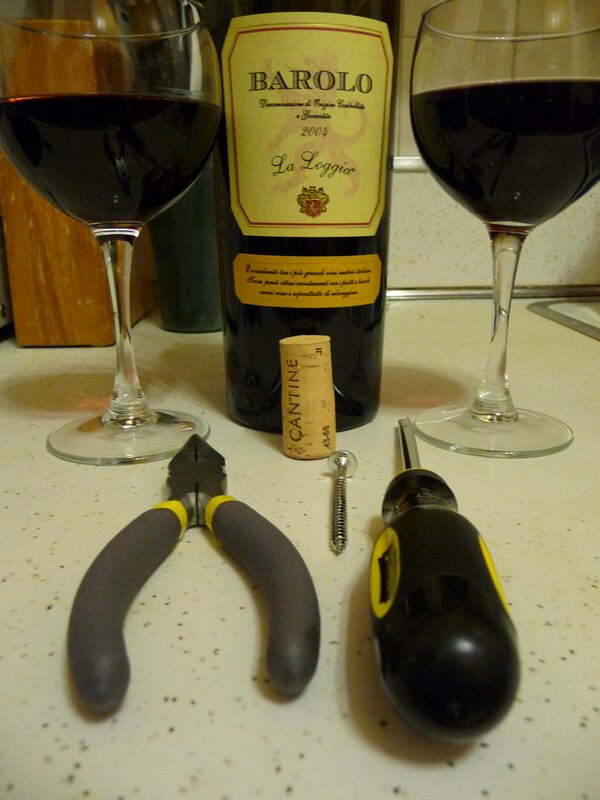 Above: All you need to open a bottle of wine is a screw, screwdriver and plyers! Have you ever gone to open a bottle of wine, but then suddenly realize that either (1) you don’t have a corkscrew or (2) you can’t find the friggin’ thing?! I have! 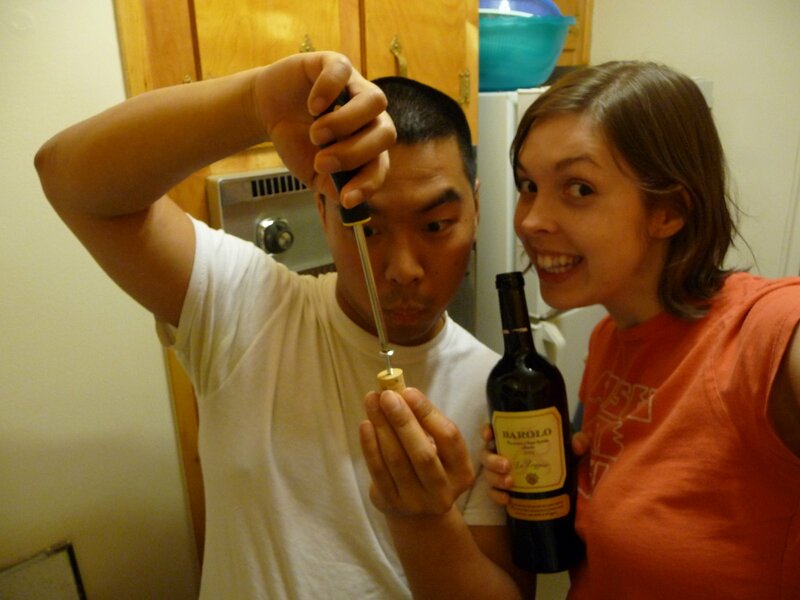 And that’s why my boyfriend (Weikai) and I got inventive with our household tools and discovered a way to open wine without a corkscrew! All you need is (1) a screw, (2) a screwdriver, and (3) plyers! If you have those things, you’ll be good. We found out that it’s actually better to have (1) a screw and (2) a hammer with a claw. However, we couldn’t find our hammer at the time! Below we’ll illustrate just how it’s done! 1.) Insert the screw into the cork and screw it with the screwdriver. 2.) 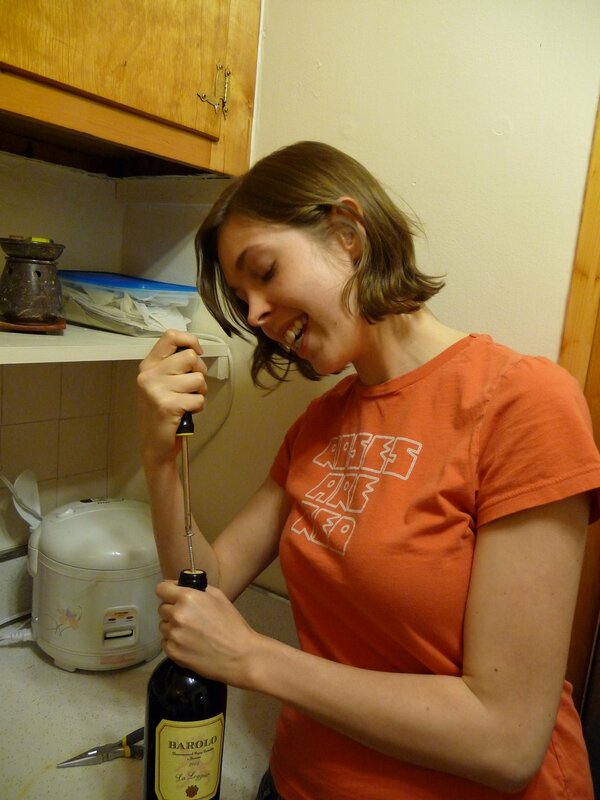 Use the plyers (or hammer) to pry the cork up. 3.) 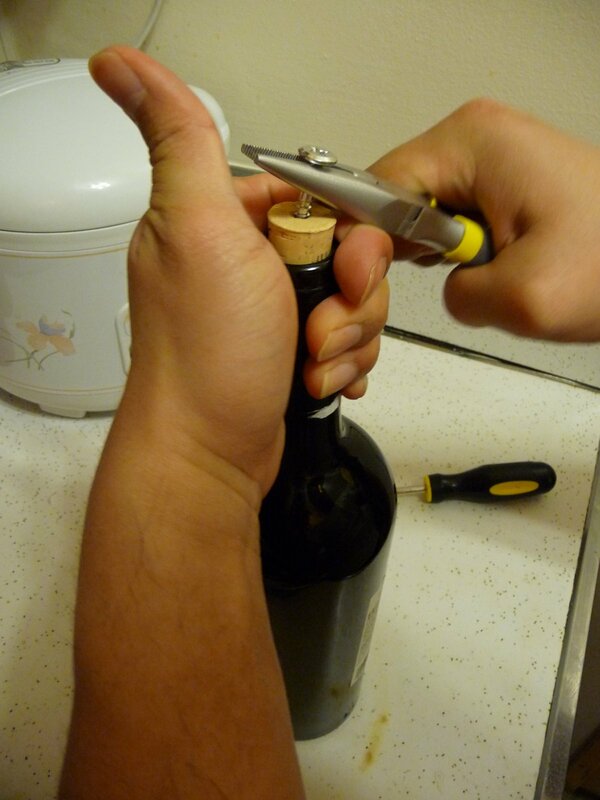 Once the cork is almost out, use your hands to pull it out. 4.) And voila! You’ve done it! Your wine is ready to enjoy!!! 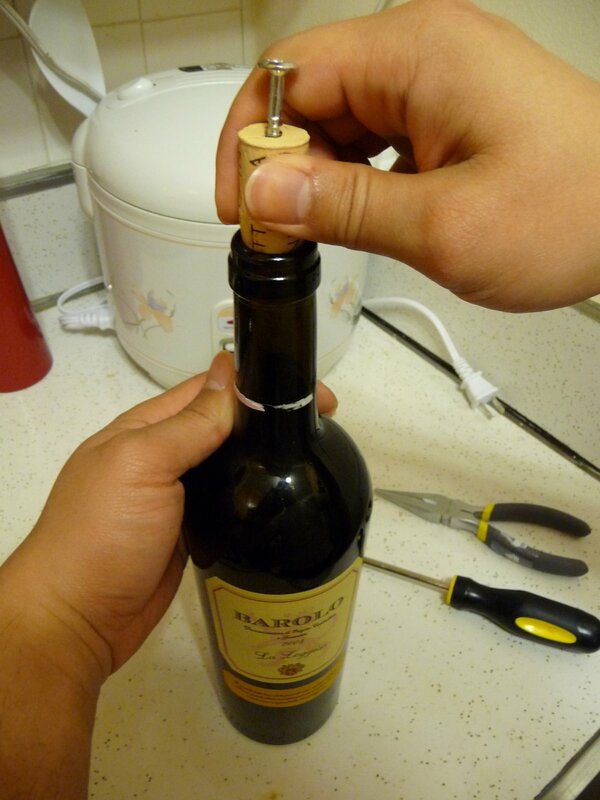 Now, maybe you’ll go all MacGyver on your wine more often! Enjoy the new tip!!! Let me know how it goes for you!